If you are not looking for a full day of relaxing you can visit the salon where you can enjoy a range of luxury treatments, all treatments must be pre-booked. 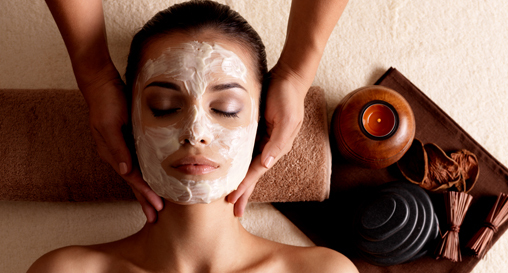 One of our best features has to be our indulgent treatments. 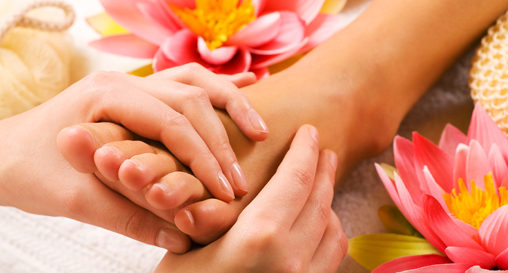 We have carefully selected our in house therapist who is a highly qualified expert in all things beauty. Our friendly therapist will give you their undivided attention and make it their mission to ensure your treatment and products are the best they can be. Any questions you have relating to your treatment or skincare needs, our therapist will be on hand to help and advise. Our dedicated, professional team source our ranges from St Tropez, O.P.I, Jessica and Aromaworks. Carefully selecting must-have products that deliver top results and complement each treatment. We have a large range of treatments available for you to choose from and enjoy. If you would like to bring youth and vibrancy to your skin, prepare for that holiday sun or would like to just pop in and enjoy a luxurious, relaxing massage, we have everything you need. 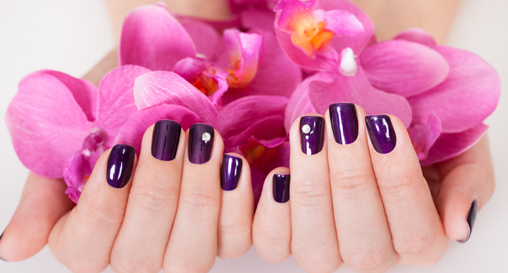 Luxury Spa Manicure 45 mins. 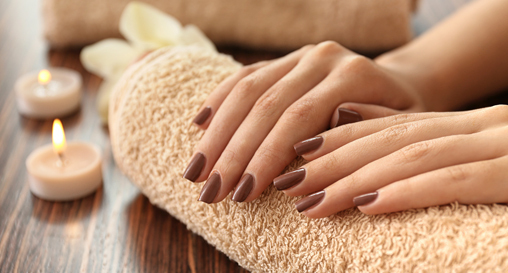 Create beautiful hands with this treatment. 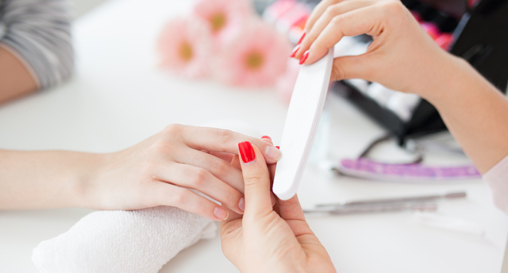 A relaxing hand spa, cuticles are treated, the nails shaped and buffed to remove any ridges, a gentle hand massage to revive the skin and improve texture, mask and warming mitts are applied and then your nails are finished with the polish of your choice. Luxury Spa Pedicure 45 mins. This relaxing treatment helps to create beautiful & healthy feet. A relaxing foot spa, the nails & cuticles are tidied, the skin is exfoliated, a foot mask is applied, a gentle foot massage to give your feet a wonderful light feeling, finished with the polish application of your choice. Jessica Gel Coloured Gel Overlay 30 mins. A coloured gel to give strength to your nails giving you 14 days of chip free colour with no natural nail damage. Full Jessica Gel on fingers or toes £35. Full Jessica Gel on fingers and toes £55. Jessica Gel Removal £10. Mini Manicure / Pedicure 20 mins. Nails & cuticles tidied, skin moisturised and polish application. File & Polish 15 mins. Nails filed & polished. Express Facial 30 mins. 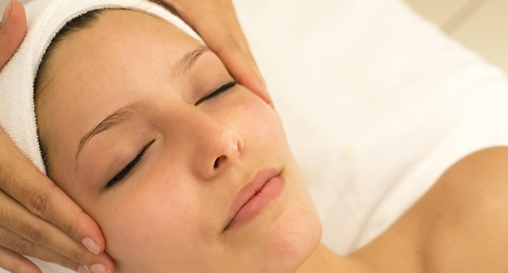 Express facial that softens, refines and refreshes the skin. Deep Cleansing Facial 45 mins. 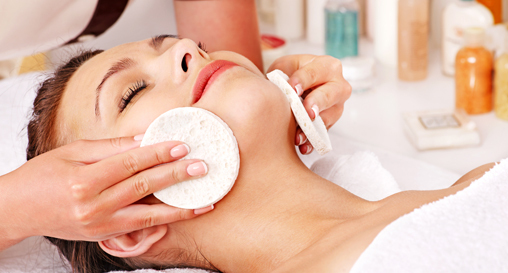 A deep clean facial for oily/problem skin, steam and cleansing mask treatment to refine the skins appearance, using specialised products to re-balance and brighten the skin tone. Hydrating Facial 45 mins. An anti–ageing facial for dry/mature skin types, using specialised hydrating agents to smooth, rejuvenate skin and reduce lines. The skin is purified & nourished to give a fuller, brighter appearance. 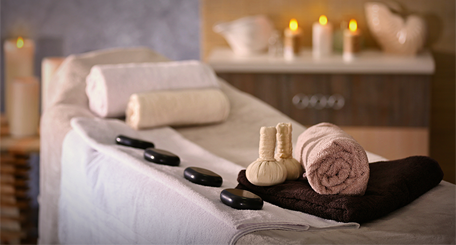 A traditional massage to help relieve muscle tension and fatigue. Soothing away tension and enhancing relaxation and well being. 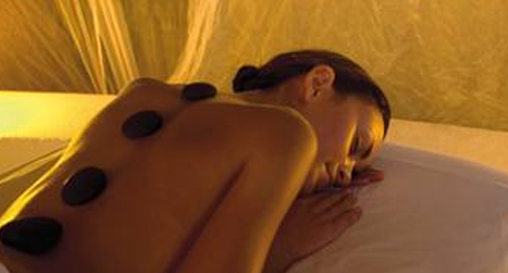 A deeply relaxing massage using aromatherapy oils to reduce everyday stress & tension in the back, neck & shoulders. An aromatherapy body massage using essential oils to relax & release tension, soothing away muscular aches & pains, boosting circulation & strengthening the immune system whilst relieving mental stress. Therapeutic heat is slowly released in to the belly of the muscle for a completely new body experience. Small stones are placed on key energy points, whilst luxuriously warmed oils are massaged deeply into the body for maximum relaxation. A specialised head massage, to invigorate, relax & enhance the mind, increases circulation to give a healthier scalp, whilst easing eye strain & mental tension. An excellent treatment for migraine, hay fever, tinnitus & sinusitis sufferers. Half leg - £14 Full leg and bikini - £26 Bikini - £9.50 Underarm - £8.50 Lip - £7.00 Eyebrows - £8.50 Loyalty scheme applicable - after 6 wax treatments get the 7th free! !